Research Fellow in Music with Artificial Intelligence, working on an EPSRC funded project on a Brain-Computer Interface for Monitoring and Inducing Affective States at the Interdisciplinary Centre for Computer Music Research (ICCMR) in Plymouth, UK. Previously, he was a post-doctoral Research MCR at Wolfson College Oxford, and Music Technology Officer in the Faculty of Music, University of Oxford, UK. 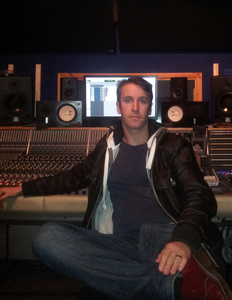 Duncan studied psychoacoustics and digital signal processing at the Institute of Sound Recording (IoSR) in Guildford, Surrey.